310,08 € прибл. 22.317,05 руб. 755,47 € прибл. 54.372,61 руб. 696,64 € прибл. 50.138,50 руб. 377,31 € прибл. 27.155,72 руб. 343,70 € прибл. 24.736,74 руб. 352,10 € прибл. 25.341,31 руб. 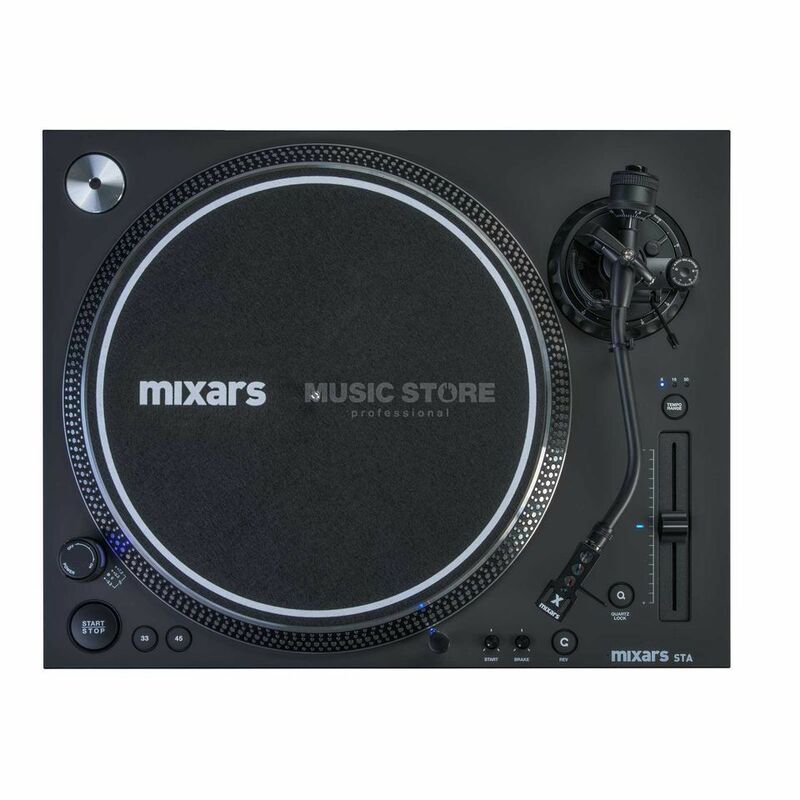 The MIXARS STA Turntable is a professional direct-drive turntable, ideal for scratching and club DJs due to its high torque. The quartz controlled direct-drive ensures precise speed accuracy whilst the 4.5 kg monitor optimizes the user’s scratch experience. This high performance turntable features an S shaped arm to ensure a skip free performance. High resolution pitch faders ensure precise mixing. The STA Turntable also features two RCA outputs which enables it to be connected to two mixers simultaneously for easy scratch battle set ups and much more. A headshell and slipmat are included. Speeds: 33-1/3 RPM, 45 RPM / 332 mm dia.